The Pharaoh Hound is often thought to be the official dog of Egypt; however, this is not actually thought to be the case among researchers of the breed. Despite its country of origin, the Pharaoh Hound is a hardy dog breed that is love and hailed by all as a champion hunter, particularly by the Maltese. 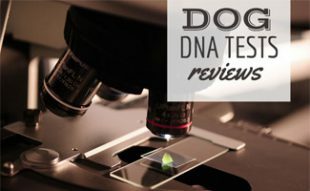 Modern day research ties this noble dog to the country of Malta and as the national hound of Malta it is certainly a well-loved dog in the Mediterranean. Many tie the Pharaoh Hound with Egypt for a variety of reasons, one of which is the name “Pharaoh Hound”. The truth behind this name, however, is that it is a modern day moniker for a breed known to the Maltese as Kelb tal-Fenek, which translates to “rabbit hound.” Another reason that people choose to tie the Pharaoh Hound to the Egyptians is the shape of the dog itself which resembles that of hieroglyphs and statues of Anubis, the Egyptian god associated with the afterlife. The fact of the matter is, however, that the Egyptian god Anubis was a jackal headed god and not a hound headed god. Modern day research is able to tie the Pharaoh Hound to a Maltese origin though and this origin is made stronger by the scarcity of the breed outside of Malta. While numbers are currently increasing in other parts of the world due to the increased demand for rare breeds of animals, the Pharaoh Hound still thrives in numbers on its native island of Malta. It is thought that the Pharaoh Hound wound up on the island of Malta when the Phoenicians settled the island and brought with them their beloved Egyptian hounds, however, this is an unsubstantiated story. 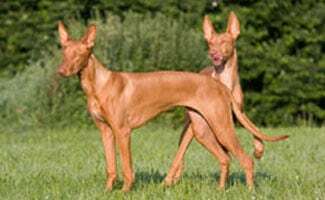 The Pharaoh Hound is particularly prized as being a great sight hound and is revered by farmers and hunters alike on the island of Malta for its ability to track and hunt. As a result of the guarding of the breed by the Maltese, very few Pharaoh Hound’s can be located outside of the country, but as time goes on breeders around the world have begun to establish breeding programs from the few dogs outside of Malta providing a slow expansion of the breed. From its sleek and slender body to its hardy nature and keen vision there is nothing about this golden hound that is not adapted to make it a great hunter. The Pharaoh Hound is generally a very independent dog and a fast hunter; these traits make for a great hunting dog, however, not such a great domestic dog as they cannot be trusted with other small animals due to their uncontrollable prey drive. Pharaoh Hounds have very distinguished features compared to other dogs. The most distinguishing feature of the Pharaoh Hound is its large ears which naturally stand up tall on its relatively small head. Unlike other breeds of dogs such as Doberman Pinschers that require ear clipping or taping to make ears stand on end the ears of the Pharaoh Hound naturally stand tall and attribute to this dog’s amazing hunting ability. The Pharaoh Hound Blushes and Smiles? The ears of the Pharaoh Hound are known for another reason in addition to their size and natural standing, their “blushing”. A unique feature of the Pharaoh Hound, the inner ear and the nose of the dog become bright pink when the dog is excited or happy, a condition that has been termed “blushing” by Pharaoh Hound lovers everywhere. The Pharaoh Hound has also been known to “smile”; however, this aspect is less referred to by lovers of the breed than is the “blushing” which has been well documented. The Pharaoh Hound is Fast and Agile, Use a Fence! Due to its intended nature as a hunter, the Pharaoh Hound is known for its fast running speed and independent nature. The Pharaoh Hound is also an extremely agile dog and is able and willing to jump rocks, fences and other obstacles in order to hunt what they desire. It is due to this fact that a Pharaoh Hound must be contained by a fence which stands at least five or six feet high. As a result of their agility in running and jumping the Pharaoh Hound excels in formal agility training and as a result of their status as sight hounds they also do particularly well in lure coursing. The Pharaoh Hound has an insatiable need to run, chase and catch and without a formal outlet for this need they are often left to their own devices. A Pharaoh Hound left to its own devices can be extremely destructive and won’t think twice about burrowing under a fence or finding a way over a fence in order to chase after whatever scent is on the air. In accordance with the American Kennel Club (AKC), the Pharaoh Hound appears as an animal of grace and speed with a slender body and hard clean cut lines much like those of the Doberman Pinscher. The Pharaoh Hound should always have an alert expression and its ears should perk upwards. The average height of a male is 23-25 inches and for a female 21-24 inches. The eyes are amber in color and the skull is long and chiseled looking. The nose is flesh colored and blends easily with the coat. The Pharaoh Hound has a scissor bite and powerful jaws. The tail is a tapering and whip-like tail that should curve when the Pharaoh Hound is active. The Pharaoh Hound has a short glossy coat which can range from a rich tan to a chestnut tan with specific white markings. The acceptable white markings are a white tail tip, white on the chest, white on the toes and a slender white marking on the center of the face. Any other white markings are unacceptable in the breed as it is defined by the American Kennel Club. 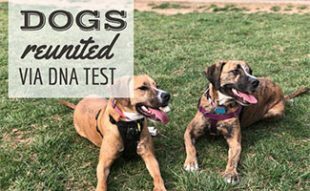 While the Pharaoh Hound is known by most as a sight hound the American Kennel Club also classifies this amazingly graceful dog as a scent hound and with both of these classifications it makes this dog a particularly good candidate for hunting companionship. As a result of the good breeding by the Maltese the health of the Pharaoh Hound is generally exceptional. By not diluting a gene pool with over breeding the Maltese have managed to preserve the authenticity of this breed and ensure hardy stock. The one “fault” found in the Pharaoh Hound is one which is found in many sight hounds, they are particularly sensitive to medications, specifically barbiturate anesthetics and pesticides. While it is not a health problem bred in to the dog, the Pharaoh Hound is also known for having particularly sensitive skin as well as a tendency to get frost bite in their thin ears when they are forced to live in cold climates. All in all, the lack of severe health problems such as cancer, lend this dog a longer lifespan which averages in at between 12 to 15 years on average. While a long and happy life with a Pharaoh Hound is entirely possible it is only possible with a family dedicated to providing this independent thinking hunter with an interesting and stimulating life. The Pharaoh Hound has been bred to be an independent dog that can hunt alone and as such it is particularly sensitive to instruction from a master. Engaging a Pharaoh Hound can sometimes be challenging for an owner due to this fact as training should always be switched up and made fun and intriguing to maintain the Pharaoh Hound’s attention. The Pharaoh Hound is particularly sensitive to reprimand and physical punishment and using such methods will not cause a desired response in a Pharaoh Hound, it will respond poorly when such methods are used. The ideal way to maintain attention during training is to create many tasks that initiate similar responses, much as though you were playing with a young child who bores easily, changing the “routine” of things is the most efficient way to ensure your Pharaoh Hound’s attention. Due to the fact that the Pharaoh Hound has been bred as such an independent hunter it is also important that the owner be an experienced dog owner with a firm and confident manner. Firm manner in this case does not refer to bullying or physically punishing the dog, it merely refers to the confidence with which a dog’s master is able to train and maintain control of the dog. A confident master breeds a confident dog and likewise, a nervous master breeds a nervous dog. It is vital to a healthy dog that the master of a Pharaoh Hound exudes confidence and ensures that the dog knows its place in the family hierarchy. The Pharaoh Hound is a breed that has managed to thrive for over two thousand years and maintain the general integrity of the breed with very few changes in appearance or instinctive hunting ability. Despite having thrived for so long, however, the Pharaoh Hound is not believed to have left the island of Malta until the 1920’s when two dogs were brought to Britain although at that time they were not bred and it wasn’t until the 1960’s that more Pharaoh Hound’s were brought to the United Kingdom and the first litter was born in 1963. The Pharaoh Hound became recognized by the Kennel Club in 1974 although at that time the Ibizan Hound was also referred to with the moniker “Pharaoh Hound”. In 1977 though the Kennel Club deleted this moniker from the Ibizan Hound and used it to refer only to the Kelb tal-Fenek, the Ibizan Hound became known solely as the Ibizan Hound. I liked how the author portrays very clearly what life would be like having the Pharaoh Hound as a family dog. 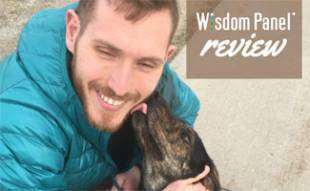 It shows that the author of this article is knowledgeable about the subject, as well as that he or she is genuinely concerned for the welfare of both dog and owner in this potential relationship. 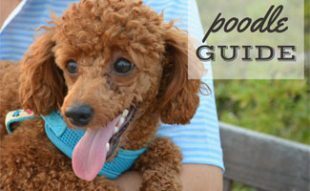 Without the proper care, exercise, training, and maintenance, the dog will grow restless and act in a hostile way toward the owner. Conversely, an owner who is not confident and experienced will have little success in befriending a Pharaoh Hound and respecting his independence. I cannot say that I personally have the experience to handle a royal dog such as the Pharaoh Hound, although I do like the independent and noble spirit. I thought it was great that the author addressed and dispelled any ideas that someone might have about this breed being a "designer dog". It is quite unfortunate that people see dogs for their gorgeous physique and do not pay enough attention to the personality or the needs of the dog itself. Clearly, this majestic dog needs attention as well as care and exercise and play and companionship, not to just be a show piece for people to impress their friends. If you feel you need a designer dog but do not want to put in the time and effort, this would not be the breed for you. Overall I was very interested and pleased with the information provided in this article. The information was fresh and caught my full attention. I got a lot of new things out of it that I never knew before and am excited to tell people about the Pharaoh Hound. There are many out there who need to be adopted, and it would be amazing for them to find the loving, caring homes worthy of such beautiful, noble animals. I want one but I live in a cold climate. Before reading this article, I had not heard of the Pharaoh Hound before. I admit to falling into the trap of hearing the name of the dog breed and immediately thinking the dog must have originated in Egypt, so it was quite a surprise to learn that the Pharaoh Hound actually originated in Malta and is the official dog. The real Maltese, you might say. Joking aside, I was very interested to learn why it is that people associate the Pharaoh Hound with Egypt, besides the obvious name association. I looked up some pictures of the Pharaoh Hound and of the Anubis, and there is definitely an uncanny resemblance if you did not know, as the author does, about the Anubis actually having the head of a jackal. I am not entirely familiar with Egyptian mythology or ancient religion, so that was new to me as well. It is always really interesting to see how animals get named and classified. I remember reading about how it used to be done where animals (and plants and so forth) were classified almost always on looks alone, whereas in modern day people now know the real origins of the animals and can bestow them with names that better fit their countries of origin. I have seen little statues that say they are of the Pharaoh Hound as well as other Egyptian art that seems to be misnamed, I now know after reading this article. Nonetheless, the name Pharaoh Hound is mysterious and cool sounding, so despite the fact that these dogs were not the blessed pet of the ancient Kings of Egypt, I still think the name should stay. It is so neat that this lithe and lean short hair breed is known on Malta as a sight hound. It has all the physical attributes that you would associate with a hunting dog, including lean muscle, long legs for sprinting and chasing down prey, and a small muzzle and face. It fits right in with that that this breed is also known to the Kennel Club for being scent hounds. Perhaps the name Pharaoh Hound fits in another way because these hounds have such exceptionally keen senses. And they seem to have feelings, too. The part about blushing and smiling was so cute. It makes the Pharaoh Hound seem not only like a loyal hunting dog and a beautiful one at that, but also a fun canine pal to have around when he is happy.